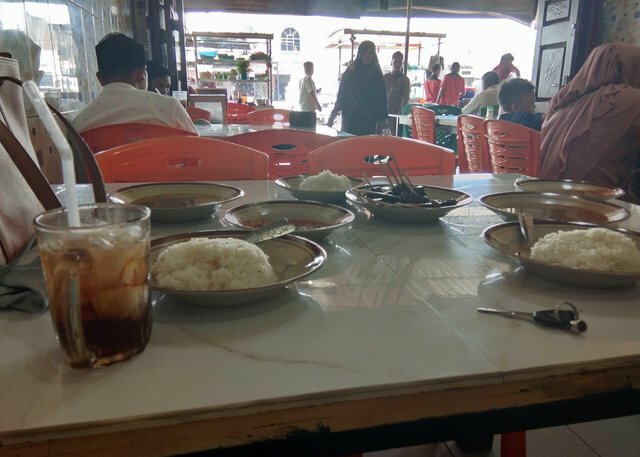 Hei steemit i want introduce typical aceh food !! 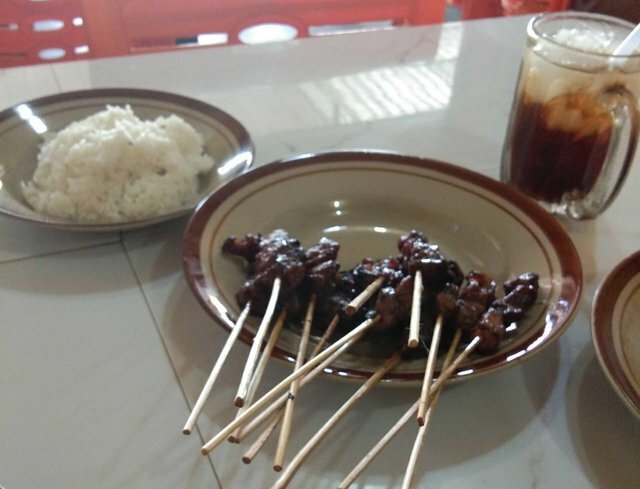 Sate is one of the most popular foods. Almost everyone has tasted this meat-based culinary. Meat poked in the stick or bamboo is a very popular food in the archipelago. 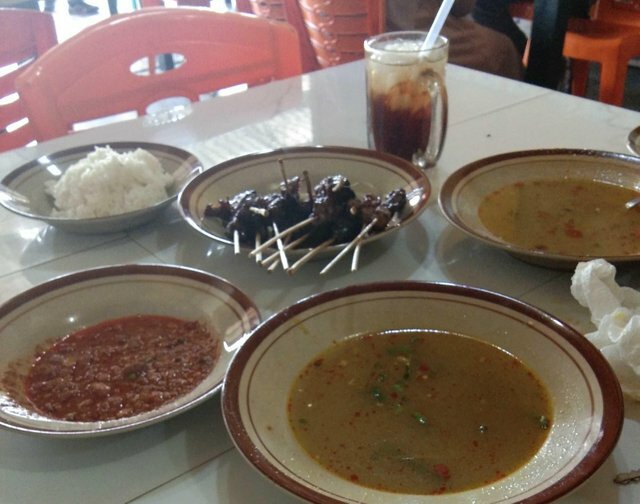 This traditional food is a type of sate food originating from the region of Aceh. His name is Sate Matang. In addition to being a favorite food residents, this food is also often a menu that is sought after by the tourists who come there. Sate one is indeed a glance almost similar to sate in Indonesia in general, but in terms of presentation and taste very different and very distinctive. The name Sate Matang is taken from the name of a place in Aceh, namely Matang Geuleumpang Dua City, Bireuen District. It is said that in this place Sate Matang was first introduced by the seller. Mature Sate then started popular and known by the public since the 90s. Until now Sate Matang began to spread widely, not only in Aceh alone, but also found in several other big cities in Indonesia. This culinary is famous for its tasty and tasteful aroma of meat. In addition, spicy peanut flavor that tastes sweet. The more delicious, if eaten with warm white rice. Uniquely, sate is also eaten with meat soup sprinkled with fries and fried onions. Everything is increasingly adding to the tongue wobble in enjoying the sensation of bribery for the sake of bribe Sate Matang. Meat that has been cut into small pieces is pinned on the puncture, then soak in spice batter in the form of spices for a while. Then sate ready to roast in roasting. Automatically, vote, follow and comment on posts in your favourite tag.